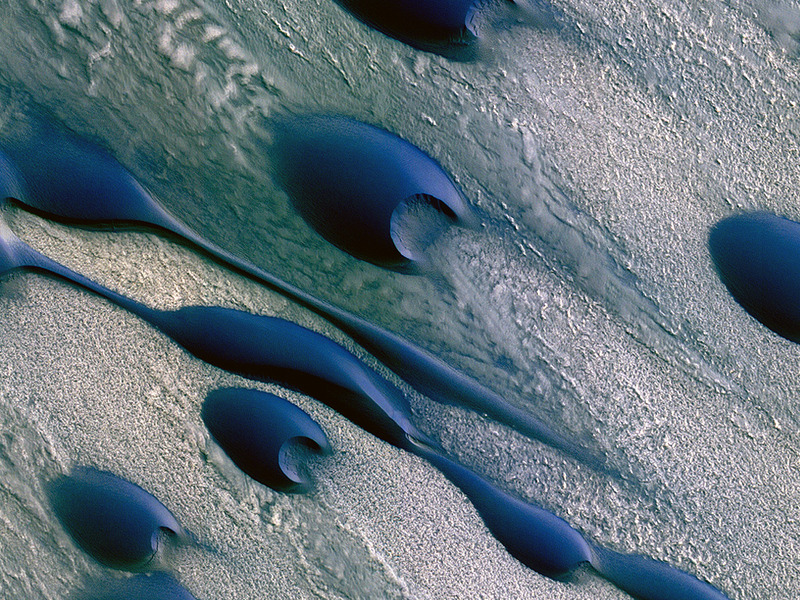 This image shows dunes during the summer, when they were free from the seasonal layer of carbon dioxide ice that covers the region for much of the year. These dunes, which are near the head of the largest trough in the North Polar cap (called Chasma Boreale), were formed by strong winds blowing down the canyon toward its mouth. Here via fuehrer3345’s reblogging of beautifulmars’ lovely post. Lovely… ooh, I want to go there so badly.